In what is the first time REHAU has exhibited at the UK’s only built environment roadshow, the company will be attending five events across the UK in total. The Specifi events are attended by globally-renowned industry speakers, specifiers, installers and technical experts, who spend time talking about projects, products developments and innovations with several built environment brands. REHAU will be at the Manchester Specifi event on July 4th from 4.30pm to 10pm. Also on stand will be REHAU’s two pre-insulated pipe ranges – RAUVITHERM and RAUTHERMEX. RAUVITHERM is a PE-Xa pipe ideal for use in district heating, biomass, biogas and heat pump applications, whilst RAUTHERMEX is suited to a variety of low carbon heat installations and features high performance PU foam, which makes it good for large district heating installations over long distances, where minimising heat losses is vital. 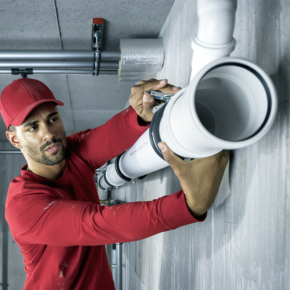 REHAU will also be featuring its brand new sound attenuated drainage solution, RAUPIANO, which will be launched to the market later this year. The RAUPIANO product offers a patented structure, sound damping, is heat and impact resistant, chemical resistant and pressure resistant to 2-bar. Drew Clough, Product Manager at REHAU, talked about how the Specifi events have gone thus far: “The roadshow events have been excellent and we have been very happy with the level of interaction and interest generated by our visitors. “At the Specifi events REHAU is discussing the RAUTITAN plumbing solution that we launched last year in the UK, and also our brand new RAUPIANO product.